The Hand-Neck Handcuffs Shackles 1360g, we offer, are designed in a thoughtful way which takes into consideration various high-end demands. They are made of premium carbon steel and are finished to perfection. 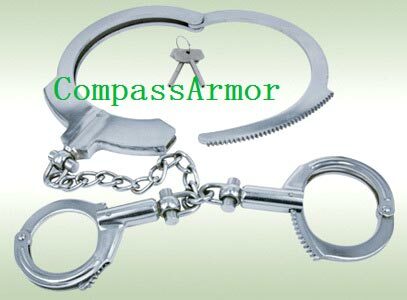 They are endowed with enough strength to conquer the handcuffing task in the best way possible. And we are coming out as the leading Manufacturer, Exporter, and Supplier of Carbon Steel Steel Handcuffs (Phc-s02) from China.